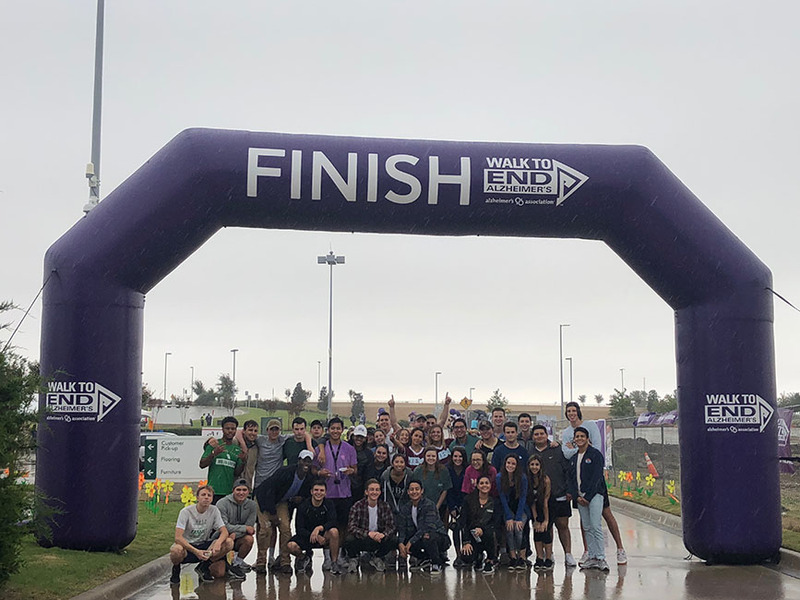 The UNT Greek Life chapters of Sigma Chi and Pi Beta Phi joined the fight towards ending Alzheimer’s by participating in this year’s Walk to End Alzheimer’s. This is the Alzheimer’s Association’s largest nationwide event created to raise awareness and funds for Alzheimer’s care, its support and research. Walks are organized all around the country to bring attention to the disease, which is the sixth-leading cause of death in the United States. The event took place on Sept. 29 at Grandscape in The Colony, TX. 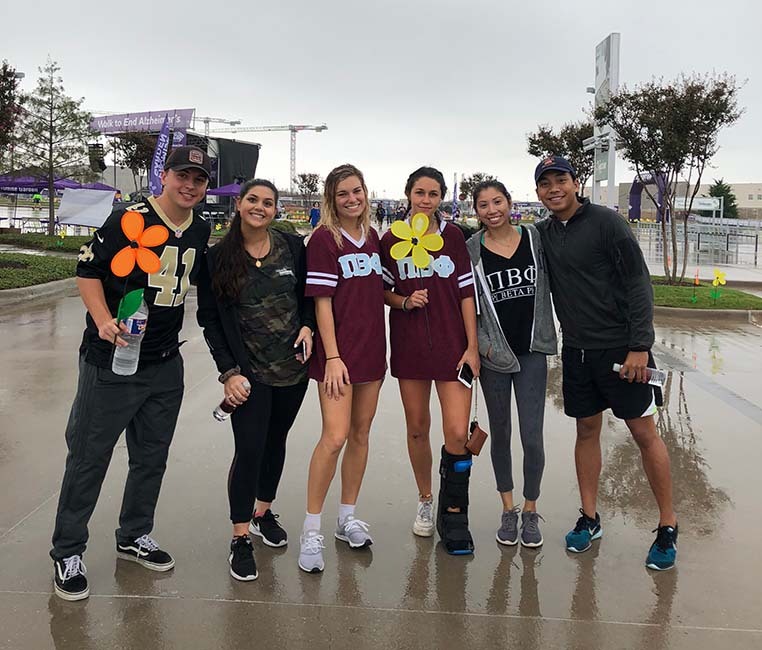 Both chapters participated as a team and powered through the rain to show support for this important cause. “I had a lot of fun while supporting a great cause!” said Taylor Lavine, Pi Beta Phi. 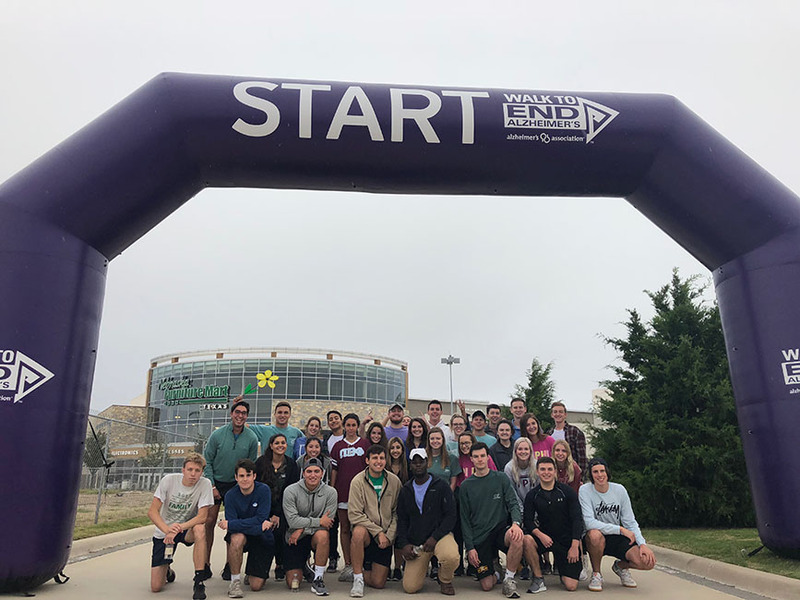 “It made me really happy to see how many people support the cause even though they might not be affected,” noted Ryan Fink, Sigma Chi.